What shall I do with my body as I tell a story? When & how to embody characters? Shall I use props? 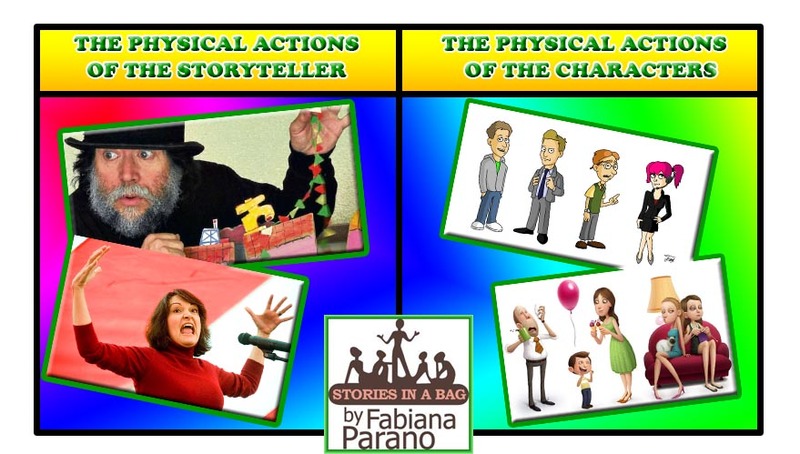 Dealing with interruptions: Shall I respond as a storyteller or as a character? I haven’t receive information from Chile’s workshop…. Who I should contact in Chile? I’m going to attend the seminar on saturday morning, option 4. 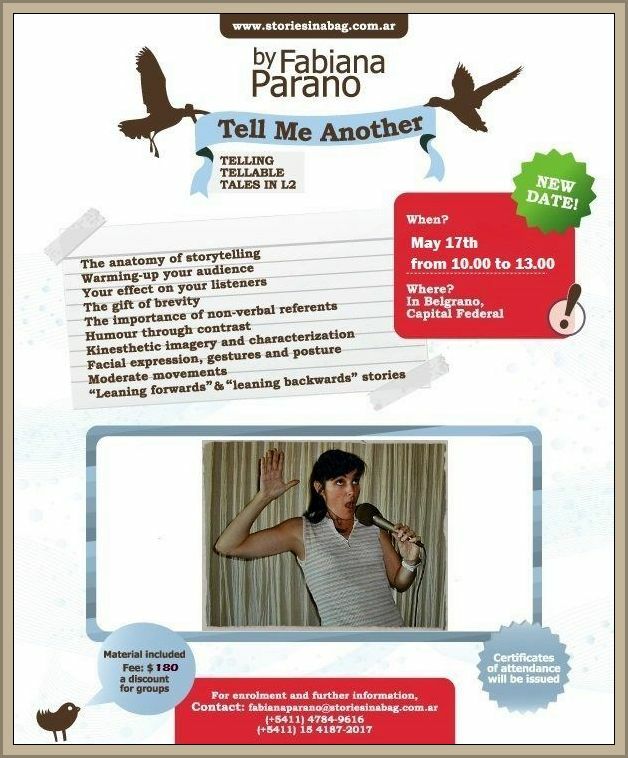 I’ll be expecting you at Arcos 1786 6°C (at the corner of Pampa Street) at 9.45 for registration. The workshop itself is starting at 10.00 am. If you happen to have a hat and/or scarf, please bring them both. If not, there will be some avilable here for you to pick and use. 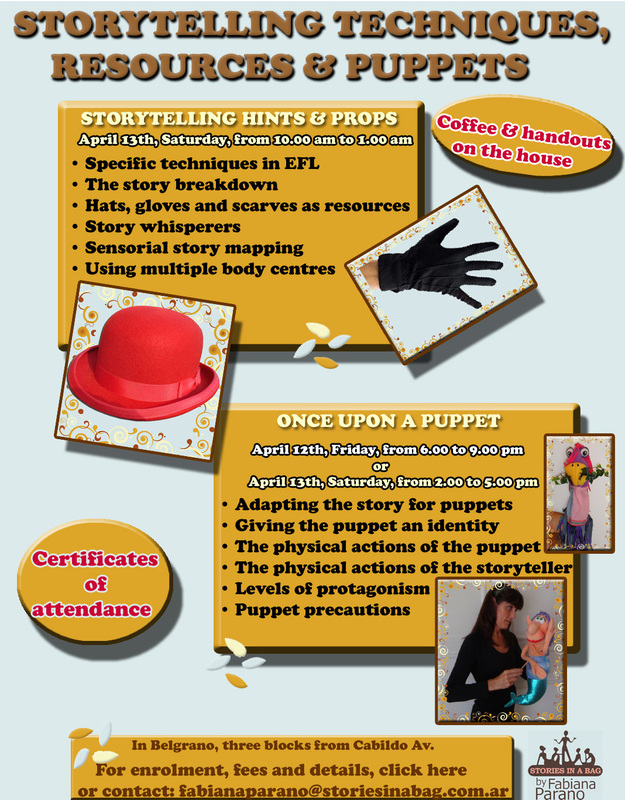 Get ready for a workshop full of tips, resources and the magic of storytelling! I live in Ituzaingo, in the west of Buenos Aires. How do I get to your place? Sometimes, that’s my problem I don’t know how to get to the different places easily. I don’t drive. I have to take a bus and the train. Can you help me? When shall I pay? and how? Thanks for contacting me and for your interest in the seminar. I guess you’re planning to enrol for Saturday 13th, aren’t you? Most people have deposited the payment in my bank account, but others are paying that same day by arriving 15 minutes earlier for registration. I’ve been to Ituzaingó by car. Give some time to find out how you can get here. Is there any train line in your área? If so, which one? I’ve found out how you can get here. Te tomás el TERN SARMIENTO a LINIERS. En Liniers, tomás el COLECTIVO 80 (en la dársena, si no preguntá ahí de qué lado se toma el que va para Belgrano). Te bajás en CABILDO y JOSÉ HERNÁNDEZ. Ahí estás a cuatro cuadras del taller. Estamos en la esquina de Pampa y Arcos. Pampa es paralela a José Hernández y Arcos es la tercera (también paralela) después de Cabildo. Igual cuando llegues, preguntá para qué lado es Arcos y Pampa que por la zona todos la conocen mucho. La dirección exacta del seminario es: ARCOS 1786 6°c (esquina Pampa), a las 10.00 hrs. Calculá dos horas de viaje entre tren y colectivo. I’m going to attend the seminar on Saturday option 1. Can I pay the same day arriving 15 minutes earlier? Thanks very much for sending me directions to get there. Hope I won’t get lost. Can you send me your mobile phone number, just in case.? To make it more private you can send me a mail. I’ll be expecting your reply. Thanks very much for answering back so soon. I’ll be there!!! With a hat or a scarf!! !